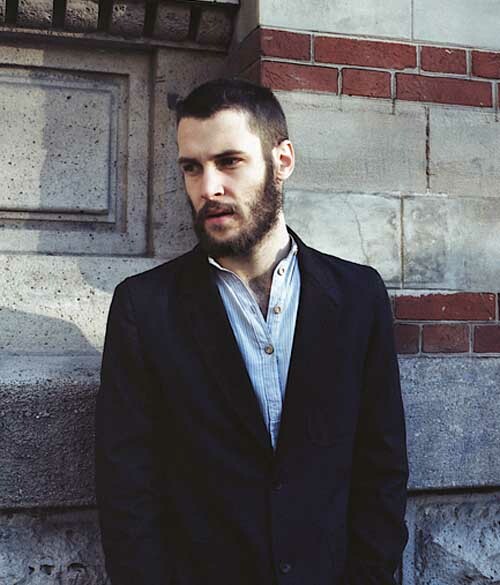 Simon Porte Jacquemus is 22 years old, is French and is the creator of the new and interesting women’s wear brand: JACQUEMUS. A self-educated designer, Simon is inspired by a minimalist and refined esthetic, deprived of frills and glitter. L’Usine (the factory in French), name of the Fall Winter 2011-12 collection, presents us a fashion recounted in quite an original and different way. 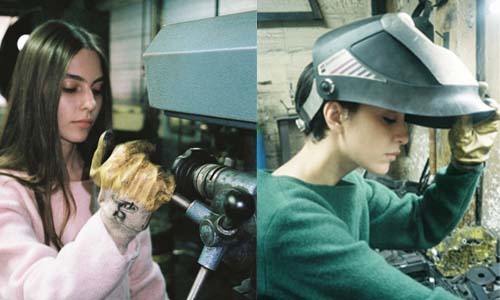 The clothes are inspired on the uniforms worn by the French factory female workers. The cuts of the garments, all done in boiled wool, are simple, with a pastel color palette. Also very interesting the photo shooting, done by Bertrand Le Pluard, for the presentation of the collection: the location is a factory, a group of model-workers dressed Jacquemus become the alternative protagonists of a real and everyday story. For once is not the glamour image of fashion to catch your eye, but the realistic and human approach that conciliates the “beautiful” to the normality. The Spring Summer 2012, entitled Le Chenil, (the kennel in French) will be also inspired in the hardworking women’s world, in this case the top model Caroline de Maigret will impersonate the owner of a doghouse, a quite lonely one. Hi Simon, can you tell us something about yourself? I’m 22, i come from the south of france, the 2012 spring summer it’s my 4th collection. I like Marie Laforet, isabelle ajdani and Valeria Golino , I love Valeria in ” Respiro”. When and how did JACQUEMUS start? I started jacquemus more than a year ago with my first collection “l’hiver froid”. It was time for me to do something concrete. Not to wait around, and do something by my own. I’m a self made designer. Which are the major inspirations for creating your collections? How would you describe your style? Who or what influenced it? I always start with a story and not with the clothes. I like to create a story, and make the costumes after. Never the opposite. I like uniforms, i’m kinda obsessed with this idea, aesthtically I think it brings something strong. I like the idea “all or nothing”, the idea you can love it so much or hate it. I feel i am taking more risks in doing a collection of repetitions. 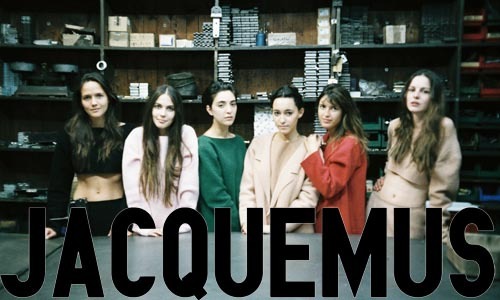 How do immagine the woman who dress JACQUEMUS? With uniform i guess, a simple woman. It’s not a fashion exercice, just really simple dresses. Something timeless. Which materials do you prefer using for your clothings? Simple fabrics like wool, coton, linen. Somethin raw. Future projects for you and your brand? A new collection, a new story to tell, meet new people, and try to do my best for my brand. Can you suggest a place in Paris that one should not miss? My neighbourg the 18 arrondissement, I hang around in this area. I don’t necessarily go outside my confort zone. Maybe “Les puces de st Ouen” the flea markets in north paris, which are not very far. If I could spend some money on furnishing my flat, I’ll definitely splurge there. I’m not into the design part of it, but there are many different styles, you can find cool stuff, old pearls, ancient granny-style dresses, it is very inspirational. And I like the atmosphere, the mix of people. A brand that takes inspiration from very unusual situations focusing, overall, on the world of working women. A lone voice.